Sand Devil sophomore Zachery Ruiz captured gold in the 113-pound weight class during the Arizona Division IV state wrestling tournament last Friday night. A year after winning two individual state crowns, the Page wrestling team surpassed that number last Friday night. The Sand Devils left their imprint at the Arizona Division IV state wrestling tournament with three state champions. Sophomore Zachery Ruiz got things started by posting an OT victory in the 113-pound bracket. In similar fashion, junior Kimball Begay needed an extra session to outlast his opponent in the 195 finals. Senior Cheyenne Richardson capped a blissful day for Page as he captured gold in the heavyweight division. “It’s a great day for Page High School,” Sand Devil coach Kyran Keisling said. “I coached a long time for a day like this. They don’t happen very often to where everything just comes together. Page wrestler Cheyenne Richardson points to the crowd after claiming the state title in the 285-pound weight class last Friday night. Richardson pinned Phoenix Northwest Christian wrestler Dominick Sahhar in the second period. As the tournament’s top seed in his weight division, Ruiz lived up to that billing by enduring a 6-4 OT triumph over Cael Porter of Mogollon. In the extra period, Ruiz rolled out of a headlock for the win. Early on he trailed 4-0 but the Page sophomore battled back and took a 5-4 lead heading into the third period. Trailing 6-5, Ruiz sent the match to OT with Porter assessed a point for stalling. 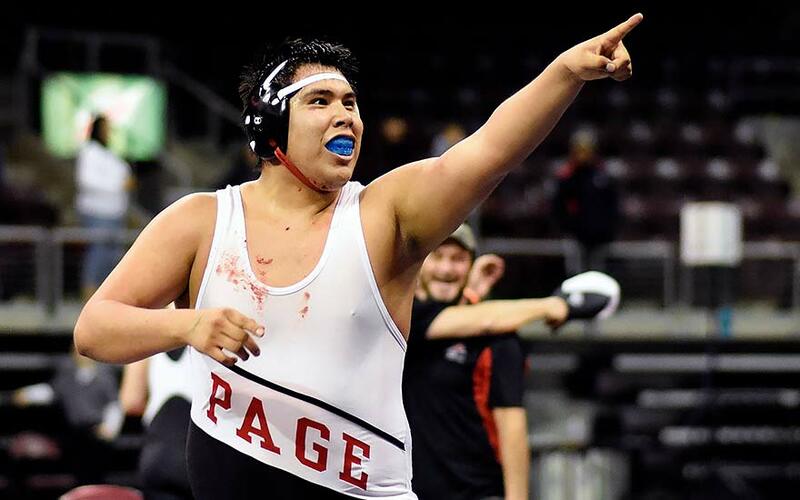 Page junior Kimball Begay shows his emotions after winning the 195-pound bracket during the Arizona Division IV state wrestling tournament last Friday night in Prescott Valley, Arizona. 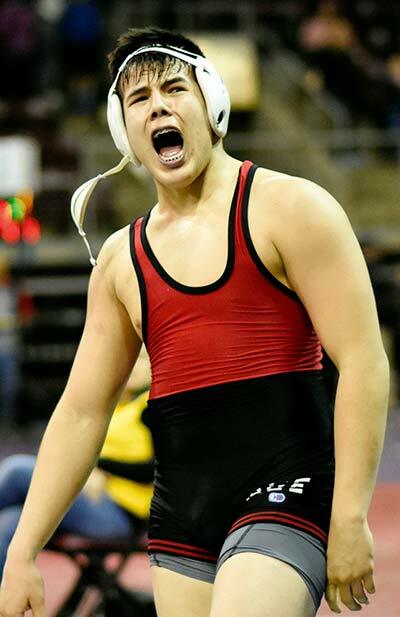 With the match going back and forth, Keisling said the state title could have gone either way but Ruiz came into the championship match with the intent of winning. 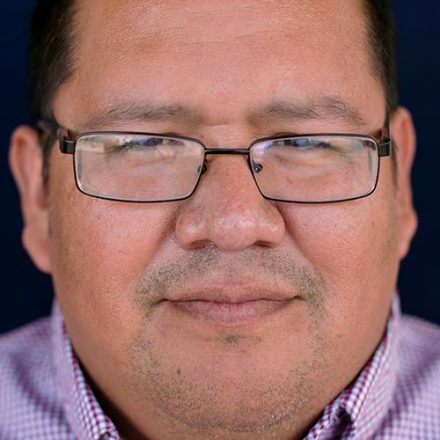 Keisling said Begay’s match played itself out in a similar manner. 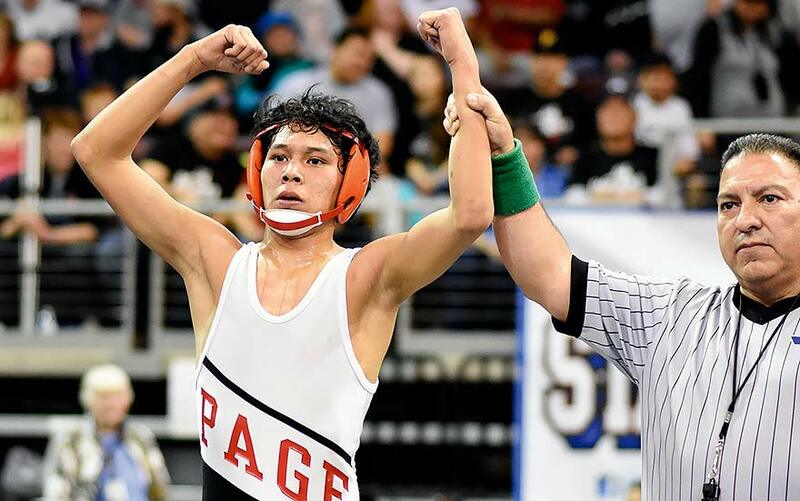 While trailing 4-2, Begay came up with an escape to send the match into OT against top-seed Caiden Hall of Willcox High. In that extra session he came up with a takedown to come away with a 6-4 win. In the last finals of the tournament, Richardson cast out plenty of doubt as he pinned Phoenix Northwest Christian’s Dominick Sahhar in the second period while trailing 5-4. “His strength and speed is uncanny,” he said. With the points he earned very hard to come by, Richardson said he never lost hope.